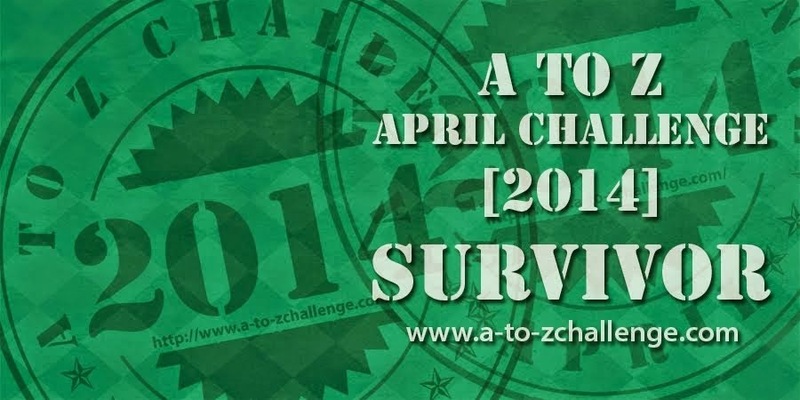 For those of you who finished with me, make sure to visit the A-Z Blogging homepage to get your sweet survivor badge! And on that note, I bid this year's April A-Z adieu! Thanks for playing everyone :) I'm so glad to have met so many of you. It's been an awesome ride as a co-host but you can hear more about that during May 5th's Reflections post! A to Z Challenge: Yogurt! It's been a couple days since a food post! Is there a food you believe everyone should eat? A mini-rant for you, because it's the end of A-Z, and I'm kind of tired, and this is something that really bothers me. X-mas is a perfectly ok abbreviation for Christmas. When I use it, it's not in an effort to take Christ out of Christmas, or to impose some atheist/secular beliefs on others (you have to have them to impose them on others), or to participate in the "War on Christmas." It's mostly because I'm lazy. But also, this qualifies in my 'things I know' category because actually, Xmas started as an abbreviation used BY Christians. The X represents the Greek letter chi, which is the first part of Christ's name when written in Greek. So, ha. In the game of semantics, I win. I could say that that's why I use it, but really, really people, it's because I'm lazy. And I think that's why most people do it. So please let's stop arguing about it! The effort to explain this negates the energy I saved by being lazy and not typing out the whole beginning of the word in the first place. What are you feeling rant'y about?